From retaining walls designed to make space usable to stone creeks that bring out the natural beauty of an area, hardscaping is a key feature of many of our designs. 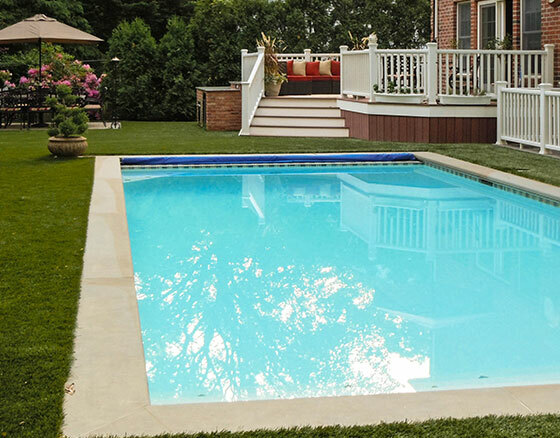 Our landscape architects can work with you to integrate patios, walkways, water features, fire pits, outdoor kitchens, accent boulders and more into your designs. While designing recreational areas is our specialty, some recreational activities are not as vigorous as others. For those looking for active space that is more conducive to entertaining, we can integrate fireplaces, backyard kitchens, pools, water features and other hardscaping into our designs. 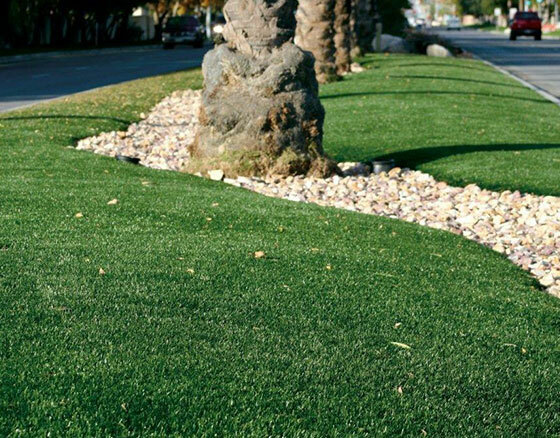 By blending rock with a realistic synthetic turf system, we create aesthetically pleasing street medians that require very little maintenance. 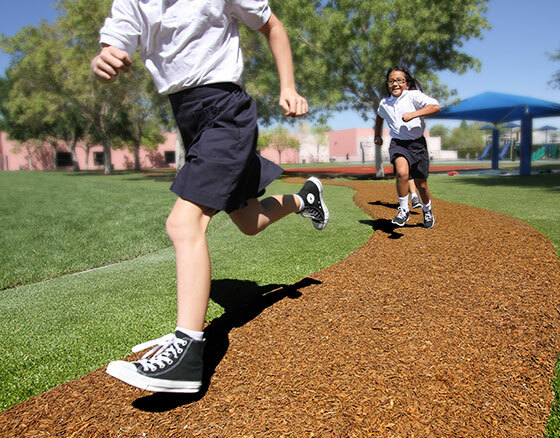 The phrase "soft hardscaping" sounds like an oxymoron, but bonded rubber walkways provide a clean, safe and low maintenance alternative to traditional walkways made from concrete, pavers or loose fill mulch. Working with Play It Surfacing Rubber Surfacing, we often specify bonded and poured-in-place surfacing into the design of recreational areas. Working with Tour Greens, we are constantly presented with the opportunity to integrate putting greens into yards of all shapes and sizes. Natural stone retaining walls provide an ideal way to level the land while stone creek beds and natural plants add extra appeal. 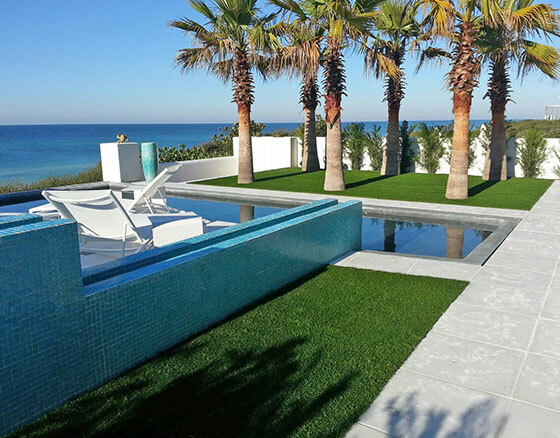 By blending synthetic grass with natural plant-life, water features and concrete and paver hardscaping, we can create luxurious spaces that require virtually no maintenance - ideal for vacation homes that remain vacant much of the year. 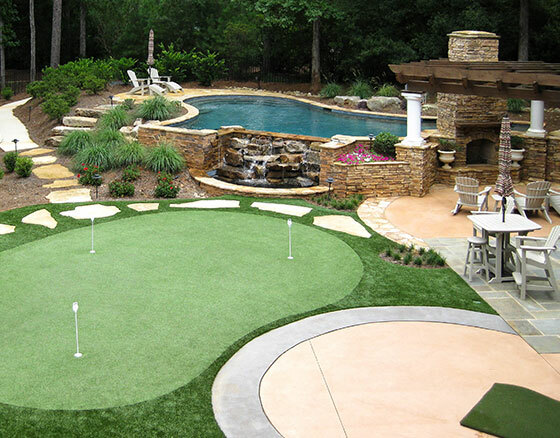 Synthetic grass can be integrated into the designs of patios, pool decks and other areas typically reserved for hardscaping like concrete or pavers. 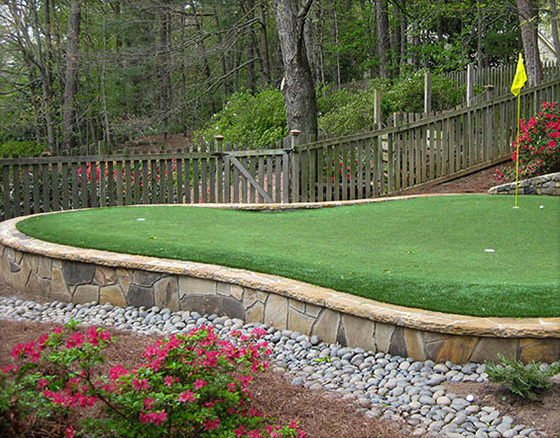 The "grass" softens the environment while requiring very little maintenance.